#1: Big Apple Scrum Day (New York, NY, USA) – May 11, 2018. Enthusiastic community, great space. #2: Agile Prague Conference (Prague, Czech Republic) – September 10-11, 2018. An awesome program, collaborative atmosphere of open space format, good value for money. #3: Business Agility 2018 Conference (New York, USA) March 14-15 2018. This conference has the most innovative format of all Agile conferences – three short industry experts’ talks are followed by facilitated conversation around tables. #4: ACE! (Krakow, Poland) – May 17-18, 2018. Innovative form & great atmosphere. #5: Agile Austria Conference 2018 (Graz, Austria) – May 17-18, 2018. Great place to meet & join Scrum Alliance DACH chapter – one of the most active Scrum communities. #6: AgileEE (Kiev, Ukraine) – April 27-28, 2018. Interesting speakers and nice audience. #7: SGLON – Global Scrum Gathering London 2018 (London, UK) – October 8-10, 2018. Talk to Scrum practitioners, join coaches clinic, get hands-on experience. #8: Agile Testing Days (Potsdam, Germany) – November 12-16, 2018. Interesting keynote speakers, deep insights in testing. #9: Agile 2018 (San Diego, CA, USA) – August 6-10, 2018. Top Agile conference for the size and speaker selection. It’s a huge event which is unfortunately very expensive. #10: Lean and Agile ME Summit (Dubai, UAE) – March 10, 2018. Get warm in the middle of winter and enjoy the great list of speakers. The selection is based on my personal preference and experiences from those events. Agile on the Beach (Falmouth in Cornwall, UK) – 12-13 July 2018. ScanAgile – Scandinavian Agile (Helsinki, Finland) – March 14-15, 2018. Agile Australia (Melbourne, Australia) – June 18-19, 2018. SGMSP – Global Scrum Gathering Minneapolis 2018 (Minneapolis, MN, USA) – April 16-18, 2018. Regional Scrum Gathering Shanghai 2018 (Shanghai, China) – August 24-25, 2018. Agile Leadership Camp 2018 (Washington DC, USA) – May 3, 2018. Agile Impact Conference 2018 (Jakarta, Indonesia) – September 20 – 21, 2018. Agile Summit Greece (Athens, Greece) – September 20 – 21, 2018. 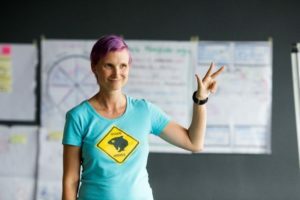 Update: See my Top Agile conferences list for 2019. 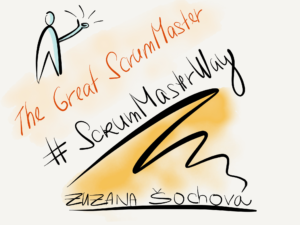 Learn more about transforming organisations, leadership and culture with the Agile & Enterprise Coaching.Check our Scrum and Agile training sessions on Sochova.com.Grab a copy of The Great ScrumMaster: #ScrumMasterWay book. There is always AgileCamp.Org with a format of 3 keynotes (world-class thought-leaders) and 24 sessions (attendees choose 4 to attend) in a single day. Located in Silicon Valley, Portland OR (@ Nike HQ), New York Metro, (Prudential HQ), Dallas, TX. Over 1200 attendees in 2017. Dates in 2018 TBD. Let me know when you know the dates, if I can join, I submit some talk/keynote and share it on the list. 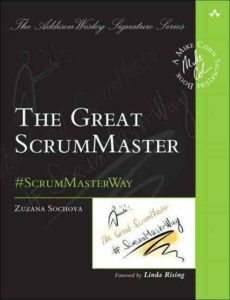 The Great ScrumMaster: #ScrumMasterWay is outstanding book how to become the Great ScrumMaster. It is a guidebook for all ScrumMasters, Agile coaches and leaders who want to transform their organizations. It describes #ScrumMasterWay concept as well. The book is part of the Addison-Wesley Mike Cohn Signature Series. Purchase now. I help companies and individuals to be more successful. The first agile conference in the heart of Europe. See details at agileprague.com and twitter @agileprague.